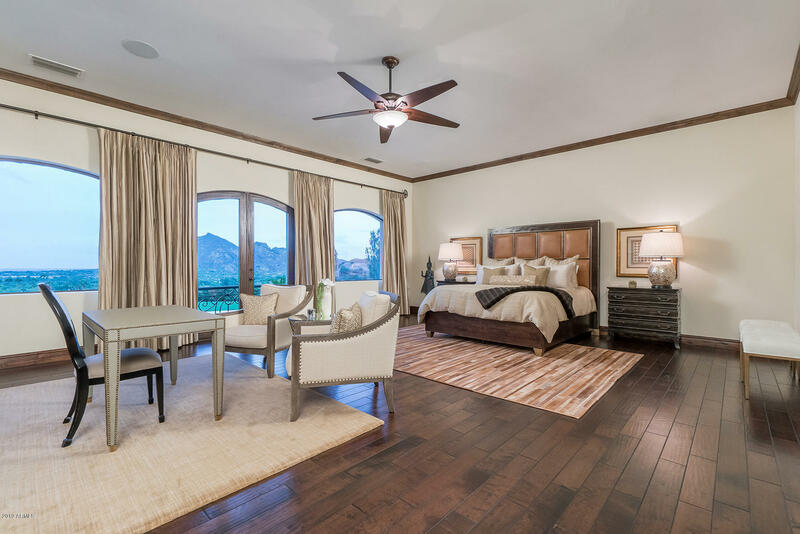 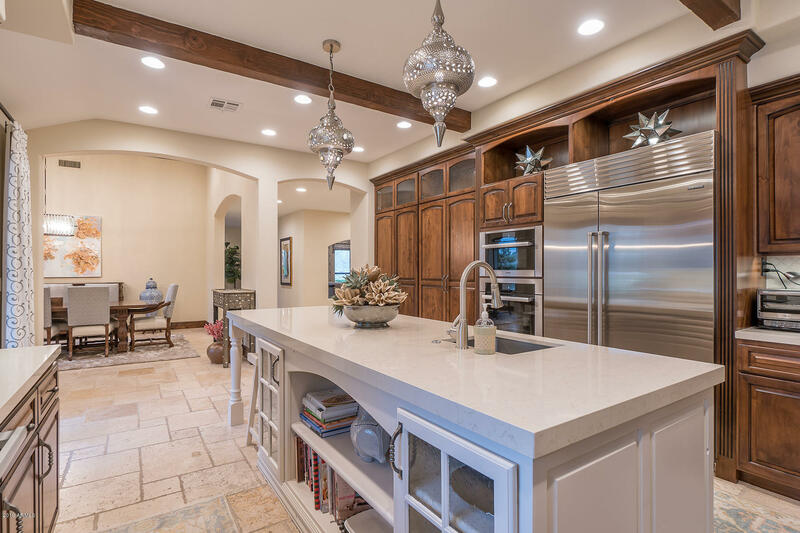 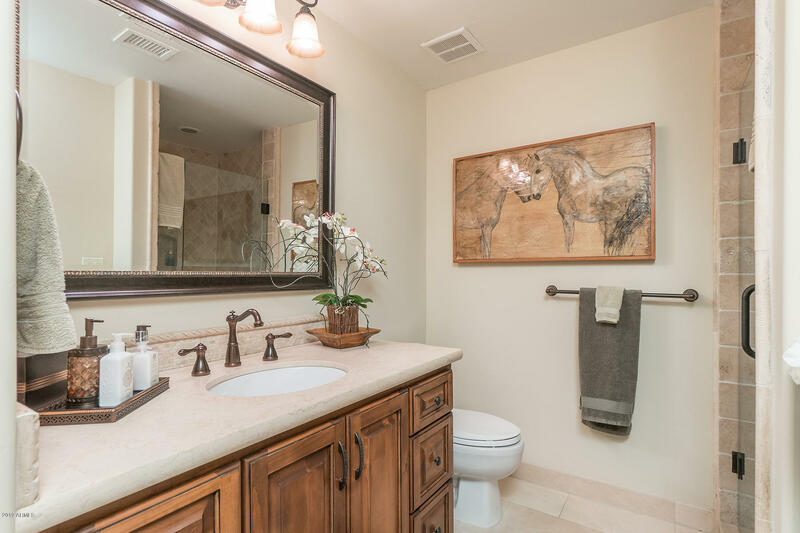 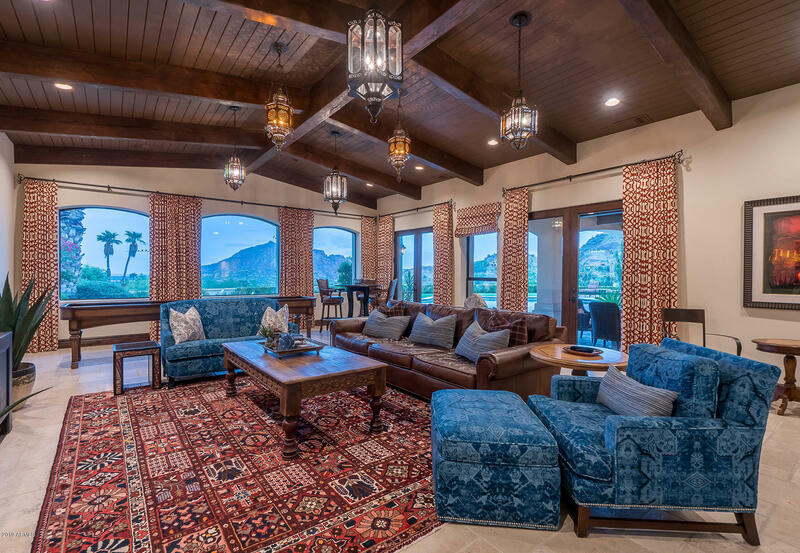 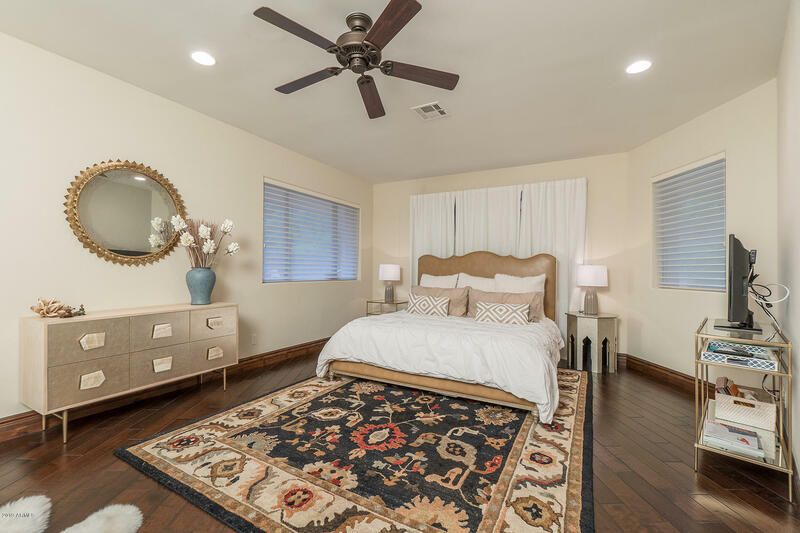 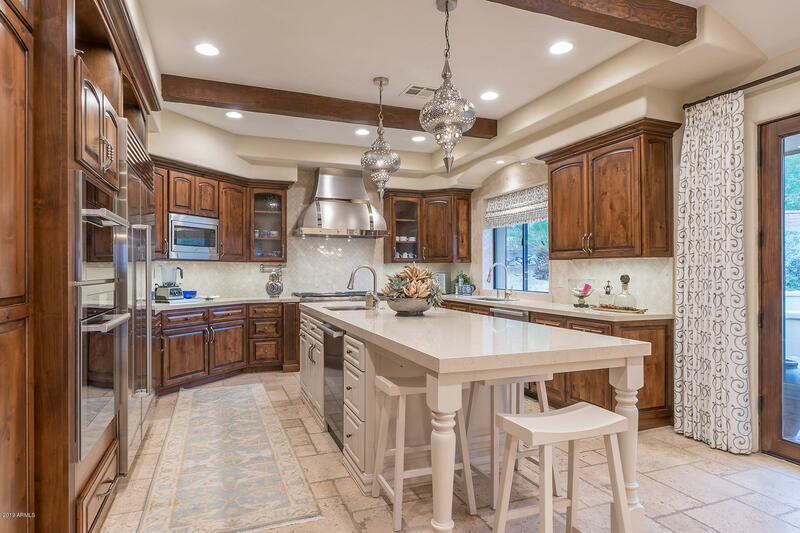 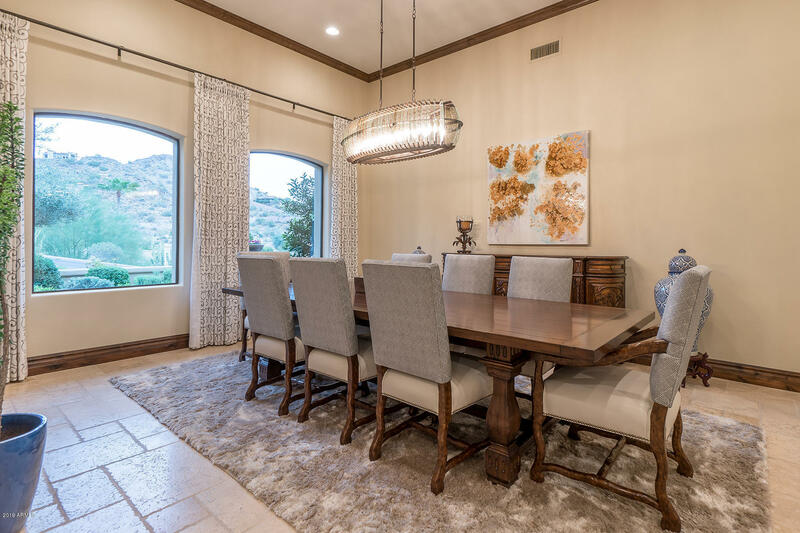 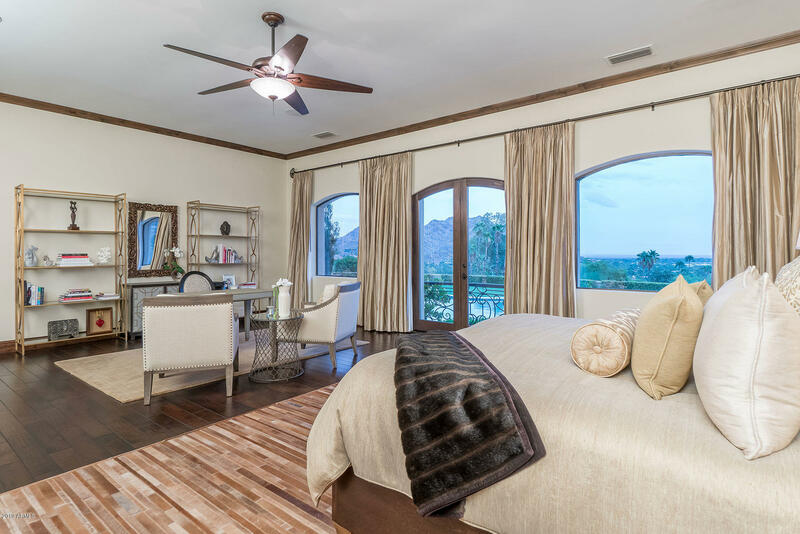 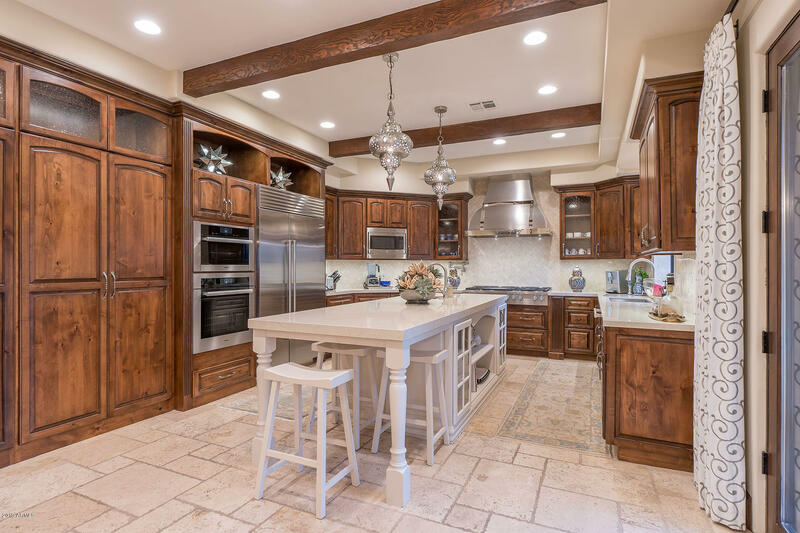 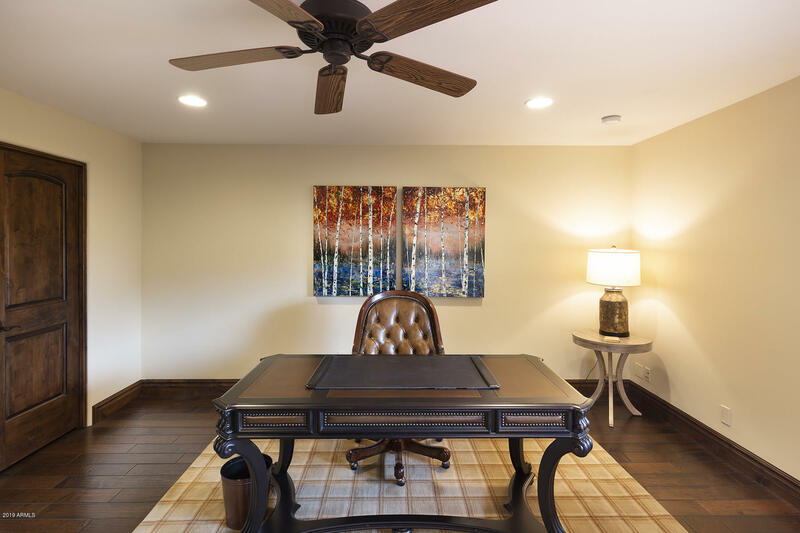 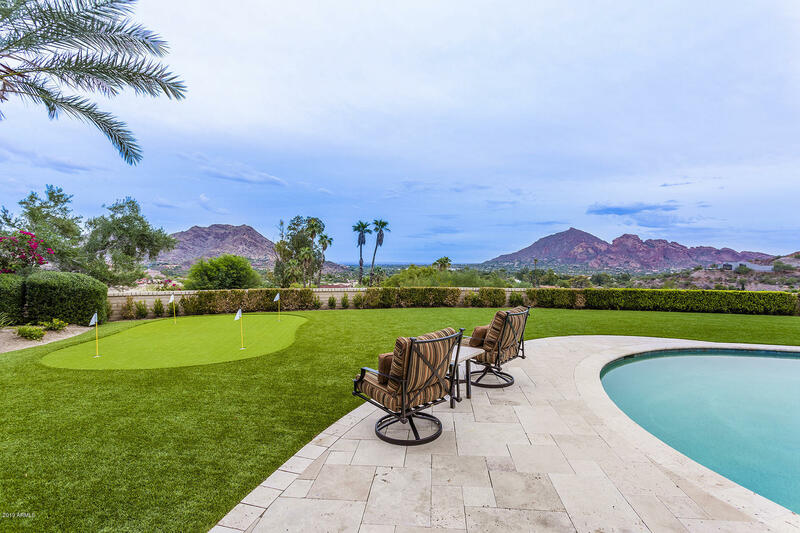 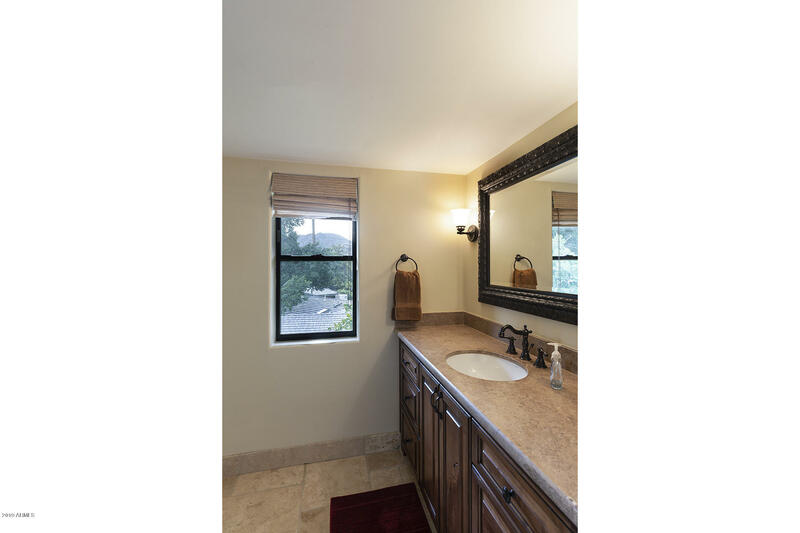 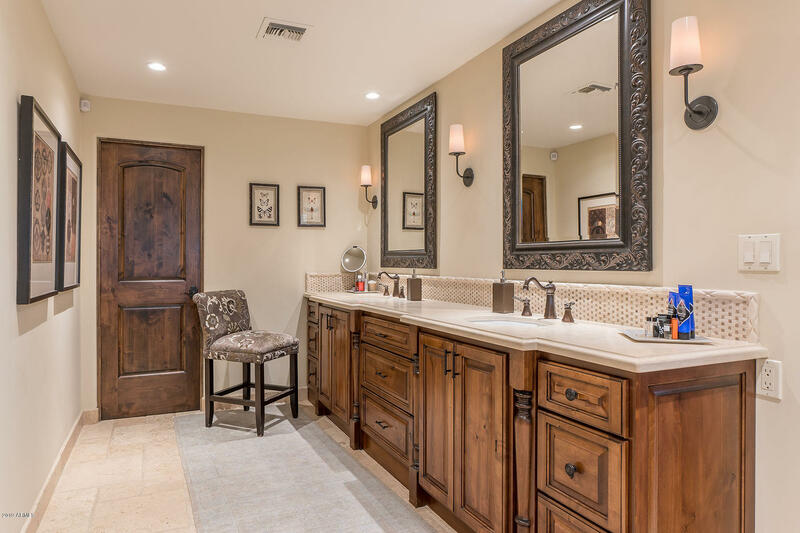 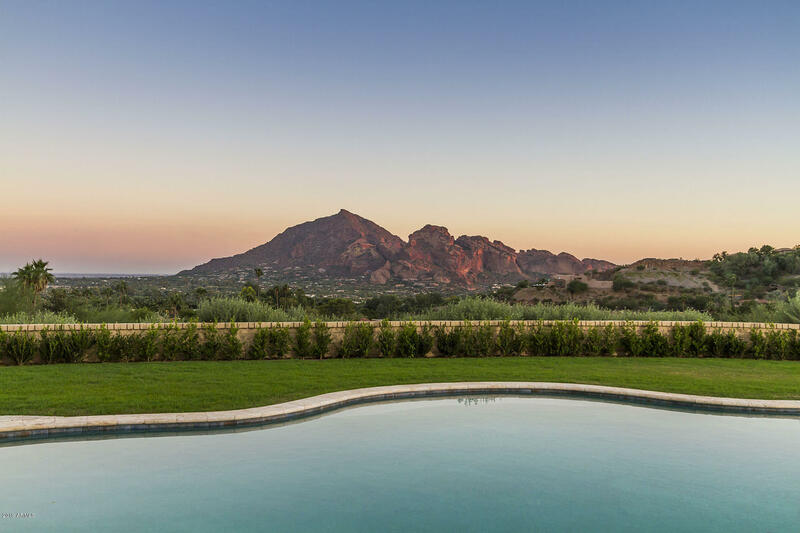 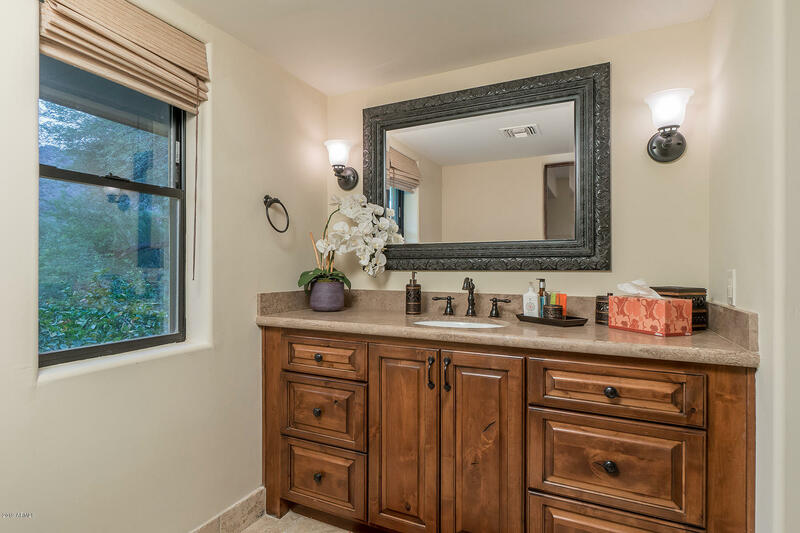 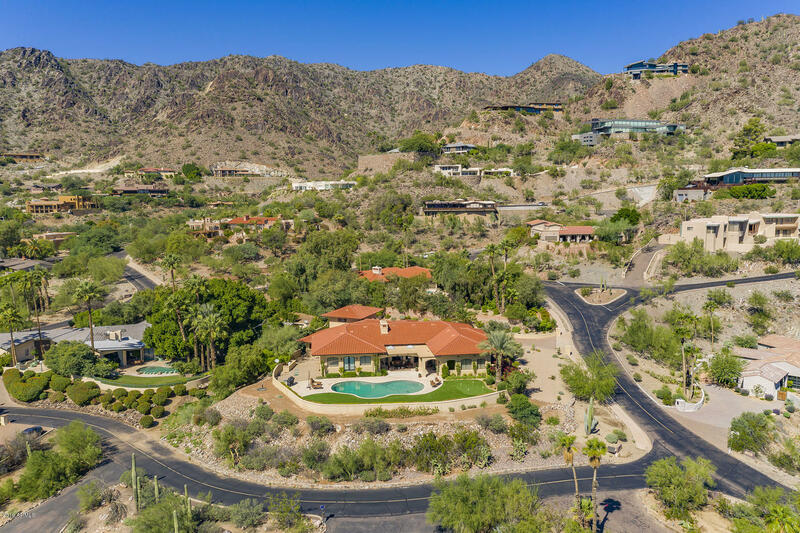 Built on one of the best elevated, flat lots in Clearwater Hills, this beautiful 5806 square foot home offers expansive views of Camelback and Mummy Mountains as well as total privacy and an easy access driveway. 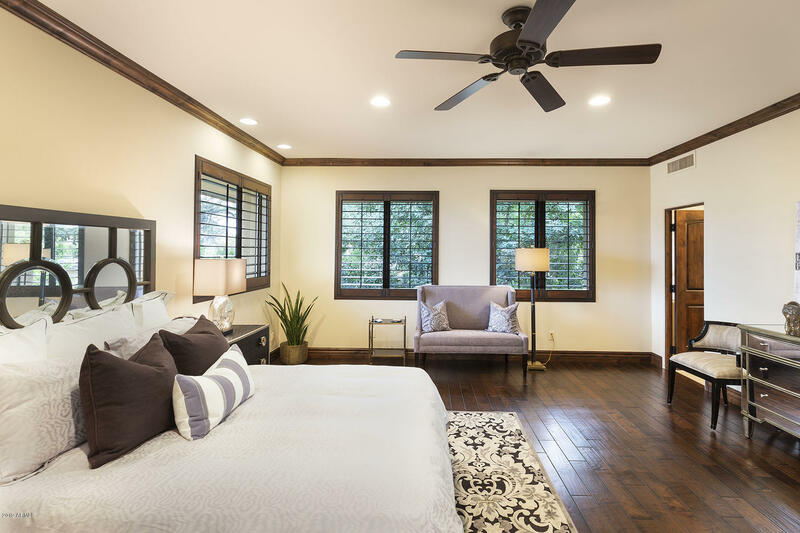 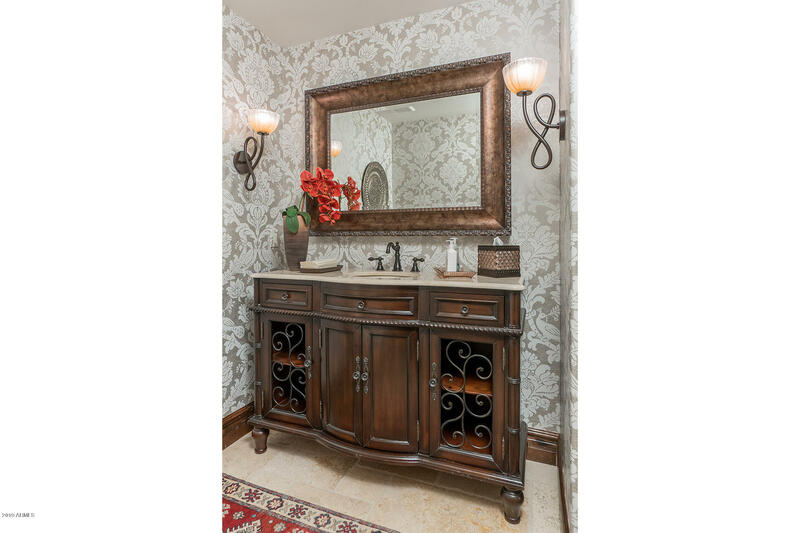 Originally built by Dave Hansen, the home has been meticulously maintained and updated throughout the years to create a residence with timeless elegance and character while feeling fresh and current at the same time. 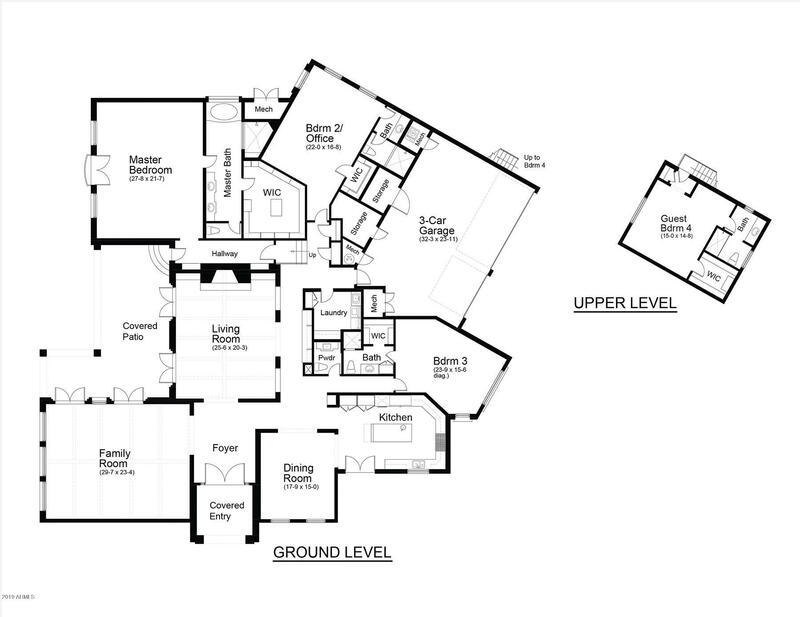 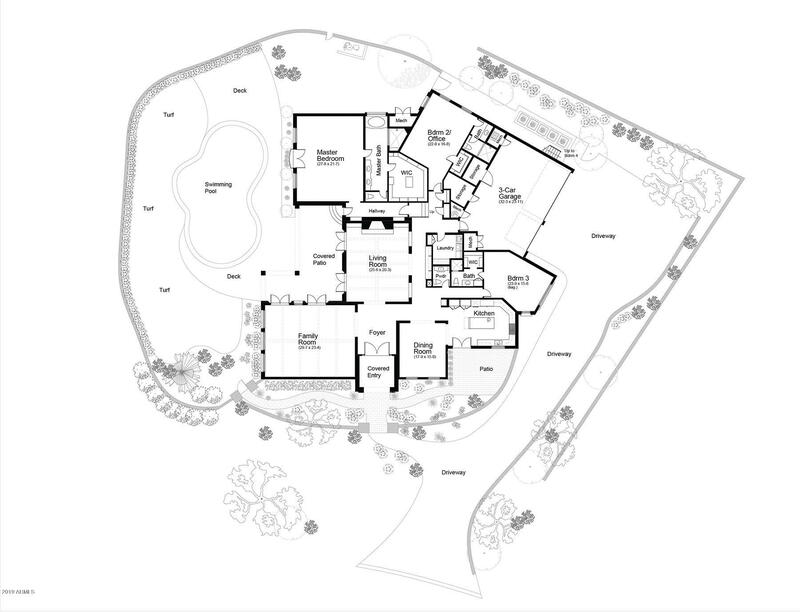 The floor plan flows beautifully with a large, bright kitchen opening to a gorgeous formal dining room and courtyard patio. 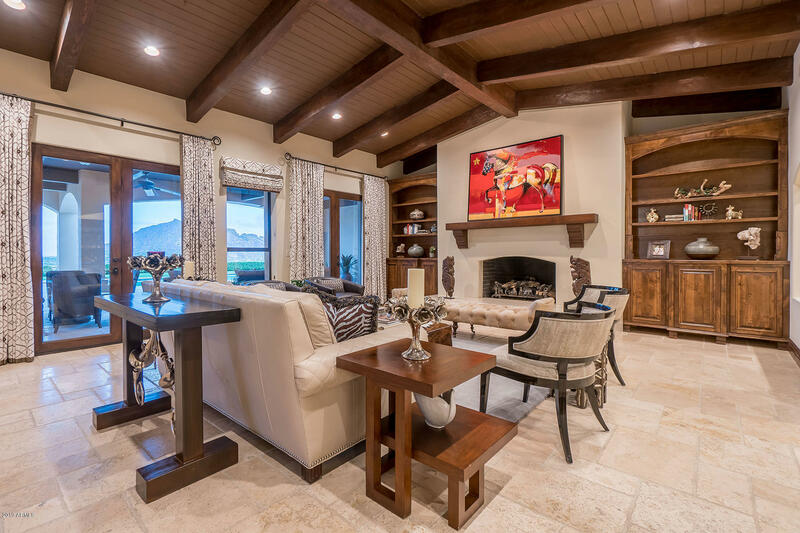 The living room features a warm fireplace and multiple pairs of French doors. 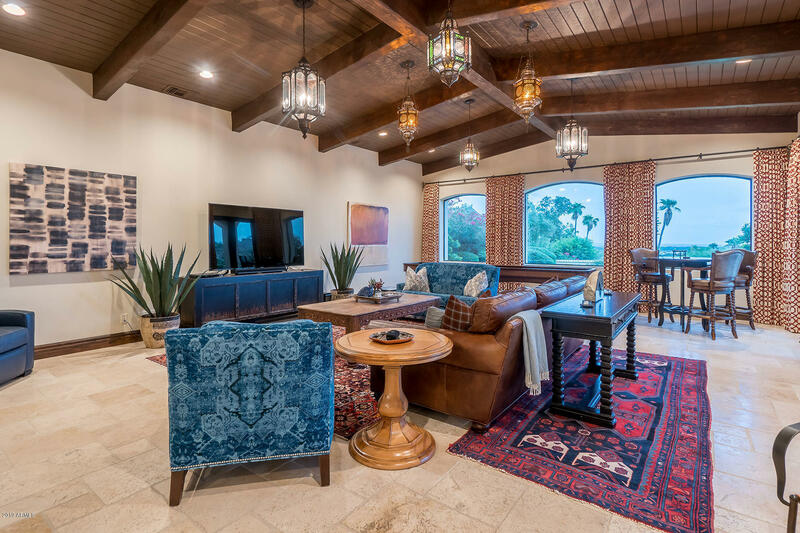 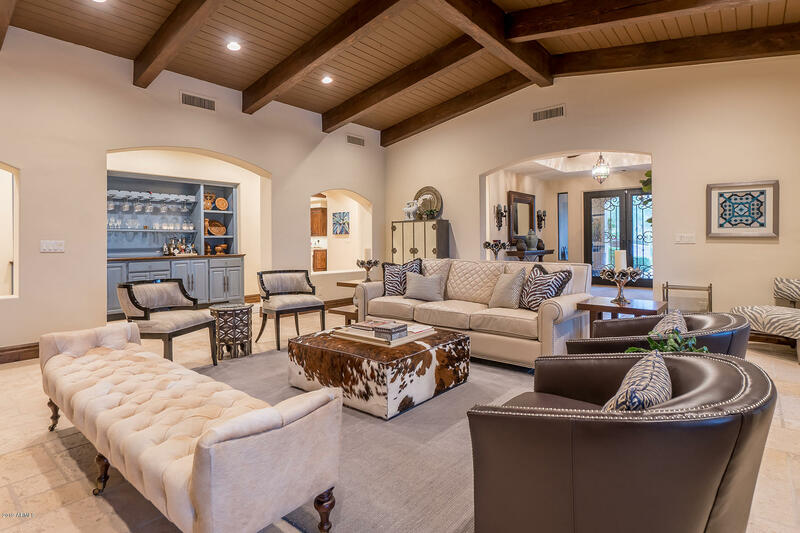 The great room is just that with wood beamed ceilings, large windows bringing the outside in and French doors leading to the covered patio and sparkling pool. 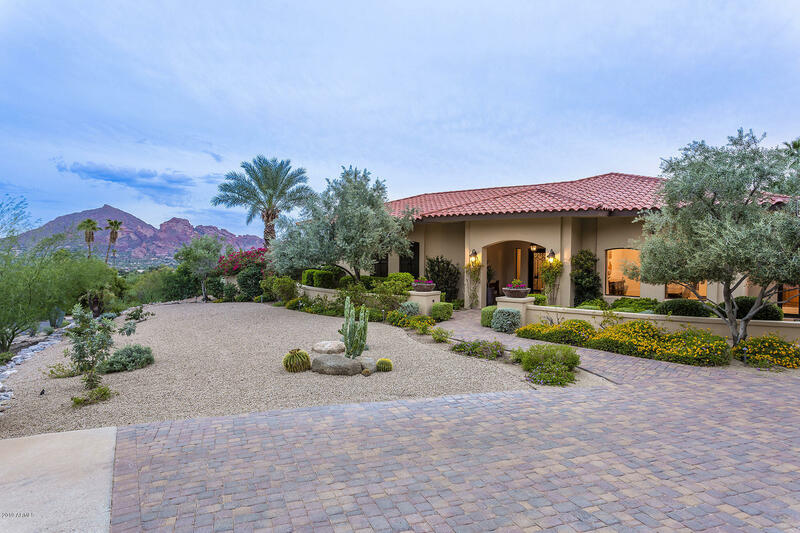 North to Clearwater Parkway, West to gate, guard will direct you to the home.